See also original vServer 512 plan location on their website! Our virtual servers (vServer) are full-fledged virtual root servers. They are a cheap and efficient alternative to conventional servers. With a virtual server you have full, direct control over all your data and processes. You can configure your virtual server according to your requirements. You can host your websites, manage files and much more. vServers are inexpensive, efficient, independent in the configuration, flexible, reliable, easy to manage and save energy. 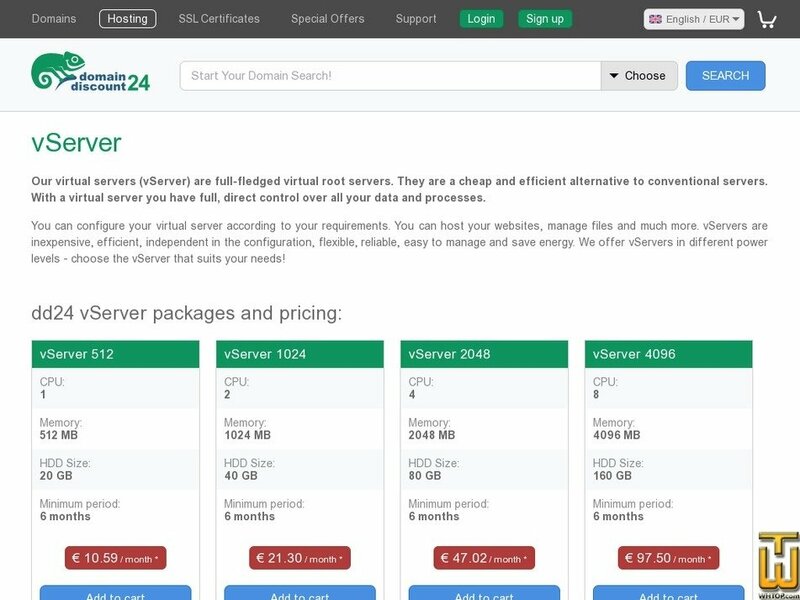 We offer vServers in different power levels - choose the vServer that suits your needs! Price: € 12.00/mo. VAT 19% inc.
Price: € 14.99/mo. VAT 19% inc.